Translational Research (i.e. 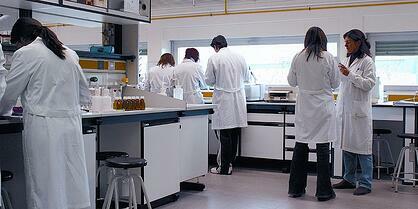 basic science to clinical science) centers are opening across the country at top medical schools and universities. These facilities can be largely privately-funded through philanthropy (see Duke and the Coulter Translational Research Center); publicly-funded through the NIH, such the university centers in the CTSA program; or, adjunct to hospital facilities (like Penn Med's new lab facility), may leverage funding through treatment and care channels. Bringing new technology to market through university translational research means private funding sources (such as VC) are not required to invest in the earlier, riskier, stages of new drug and product development. Public-Private Partnerships like Pfizer's CTI program, which carries out research in conjunction with university biomedical researchers (see our blog on the Pfizer-UCSD alliance), spread risk, resources and profits between industry and academia. Mutually-beneficial collaborations like the one between UCSD and Pfizer are one of the ways scientists and research institutions weather a period of austerity. University research incubators aimed at nursing start-ups coming out of their basic research labs. Often these incubators are in research parks with close ties to a large research university, such as the University of Wisconsin, Madison. At our September 7th University of Wisconsin, Research Park Event, researchers from over 25 different life science research and biotech companies attended and met with life science supply vendors to review products and services to support and supplement their research. NIH Funding for Private Biotech firms, through the grant process is another form of innovative funding. Often these promising businesses are based near university biotech hubs, like MBio in Boulder, which received a substantial funding grant from the NIH this summer. Crowdsourcing Challenges by both industry and university biotech harness talent from all sectors to improve technology and solve critical problems, like those posed by Life Technologies and the University of Washington. The Life Technologies competition was initiated in January as "a first-of-its-kind crowdsourcing initiative in the life sciences tools and technology industry," with a prize of $1M in each category of performance enhancement. The goal was to double the company's best test rates, which are themselves rapidly improving in the course of the challenge, the result of an Olympian race between internal (company) and external researchers. 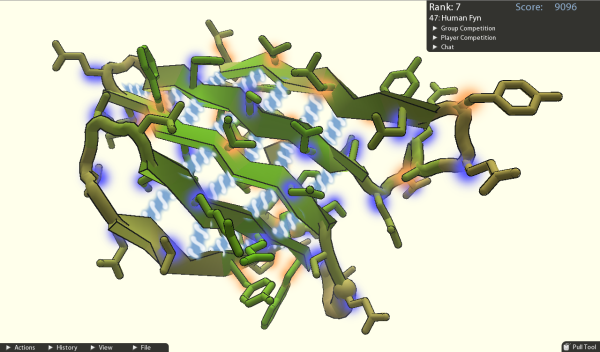 At the University of Washington, it was the much-reported case of an AIDS protein solution worked out by Foldit players in a crowdsourcing research challenge posed by scientists. Life science researchers, purchasing agents, and lab managers are actively invited to attend an event to see the latest products and equipment and discuss their laboratory tool and service needs. See our nationwide show schedule for 2012. Biotechnology Calendar, Inc. is a full-service event marketing and planning company producing on-campus life science research tradeshows nationwide for going on 19 years. We plan and promote each event to bring the best products and services to the best research campuses across the country.